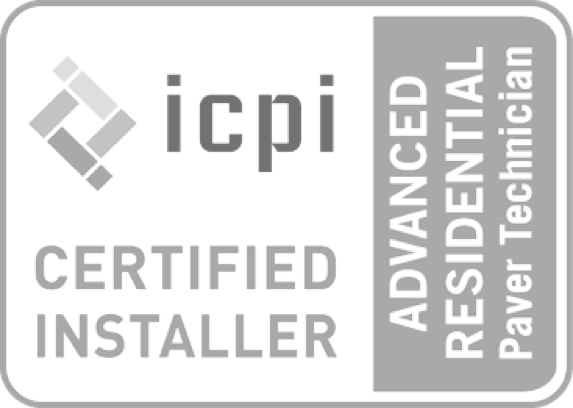 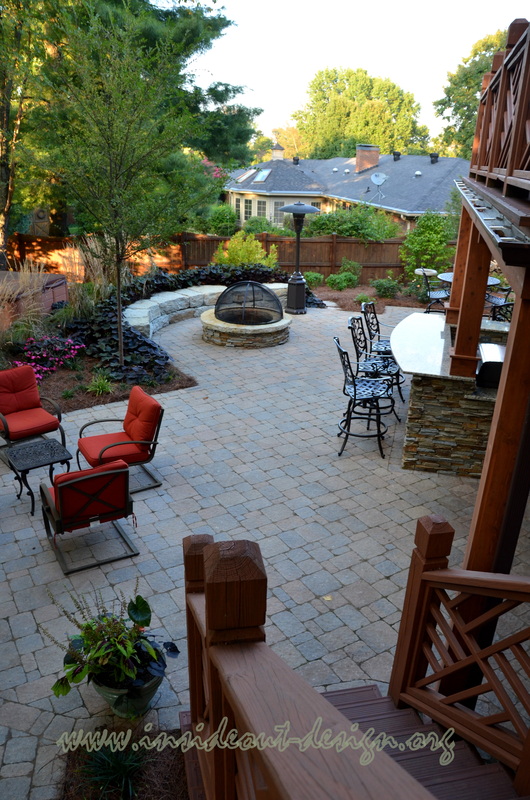 A large home situated on an angled, sloped, small lot proved challenging for this layout. 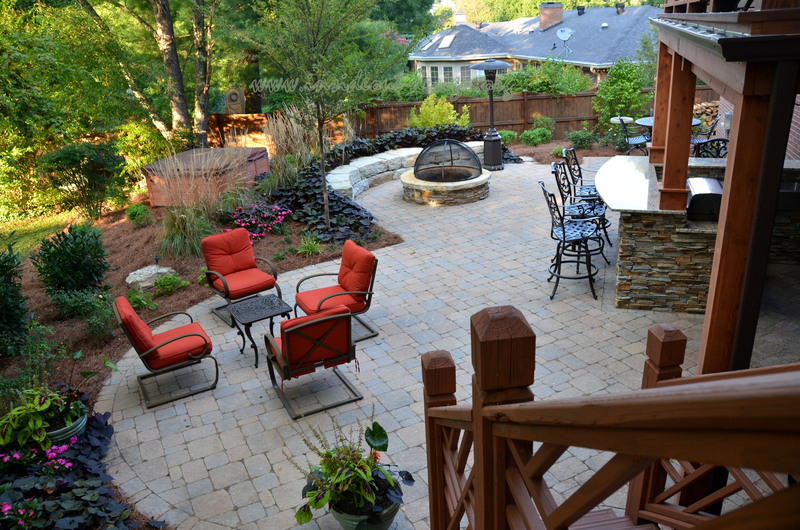 But the final result was an entertainment oasis for family and friends. 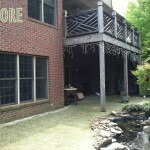 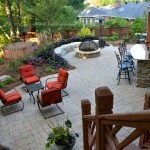 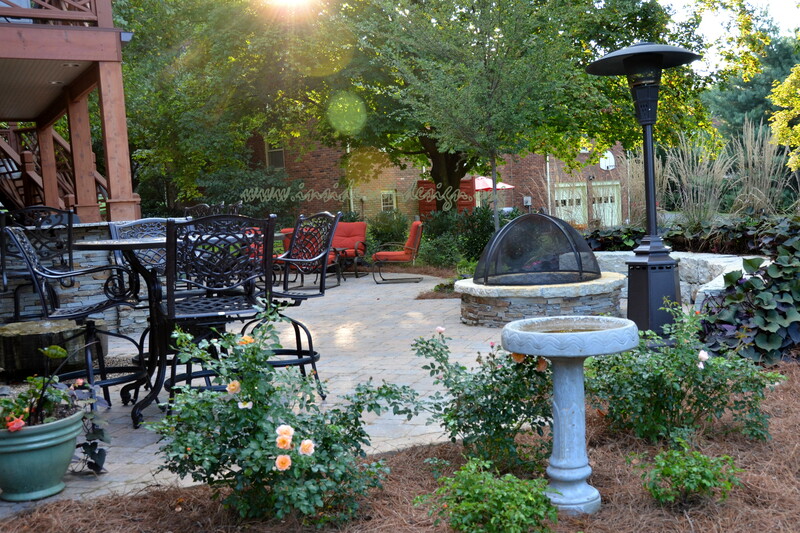 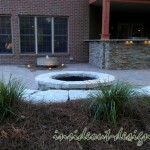 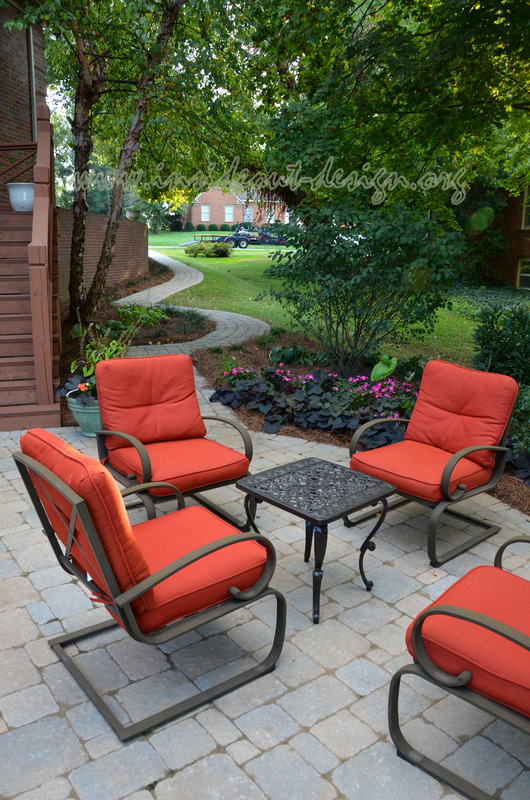 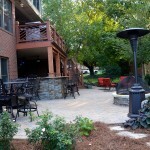 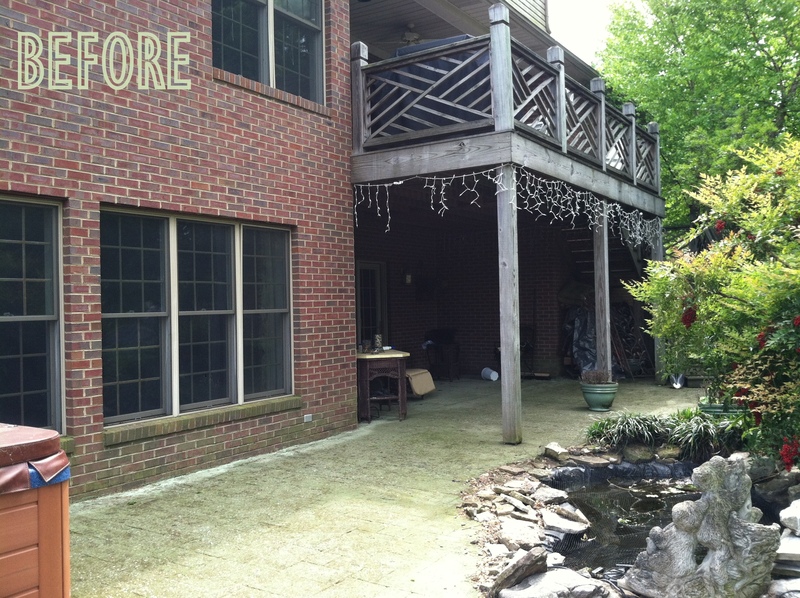 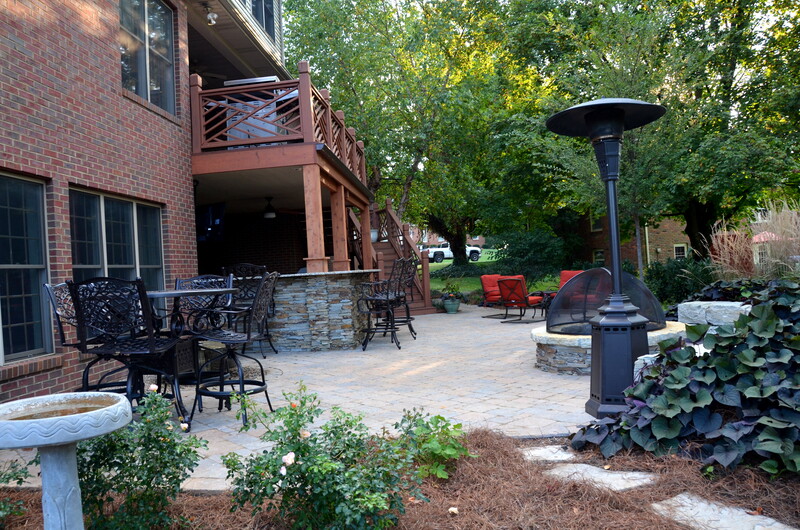 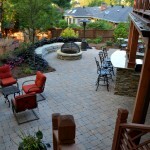 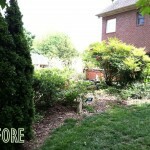 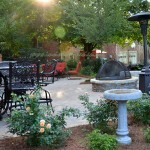 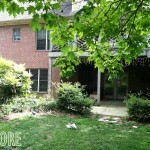 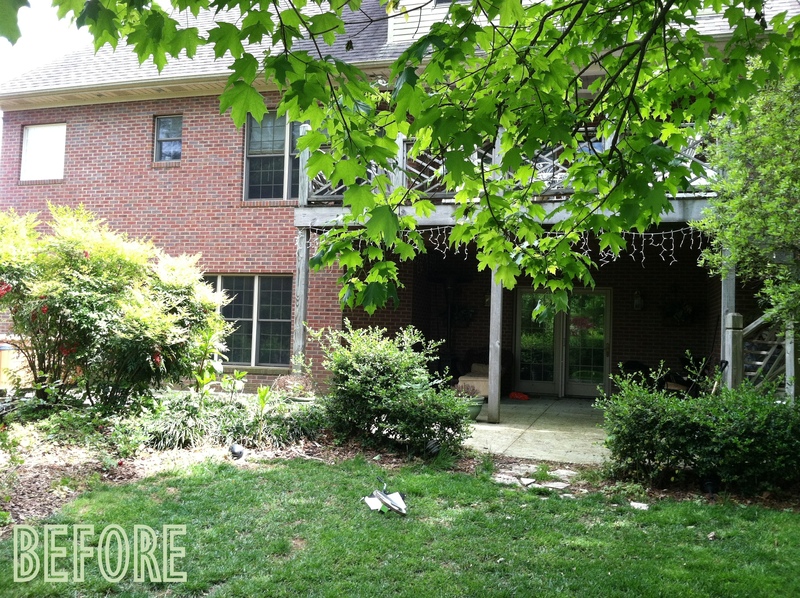 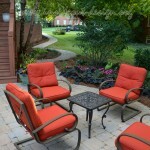 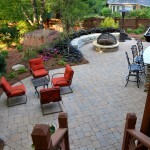 The existing pond, old concrete patio, and worn out landscape were replaced with an updated, larger outdoor space. 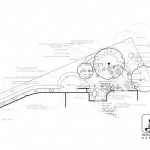 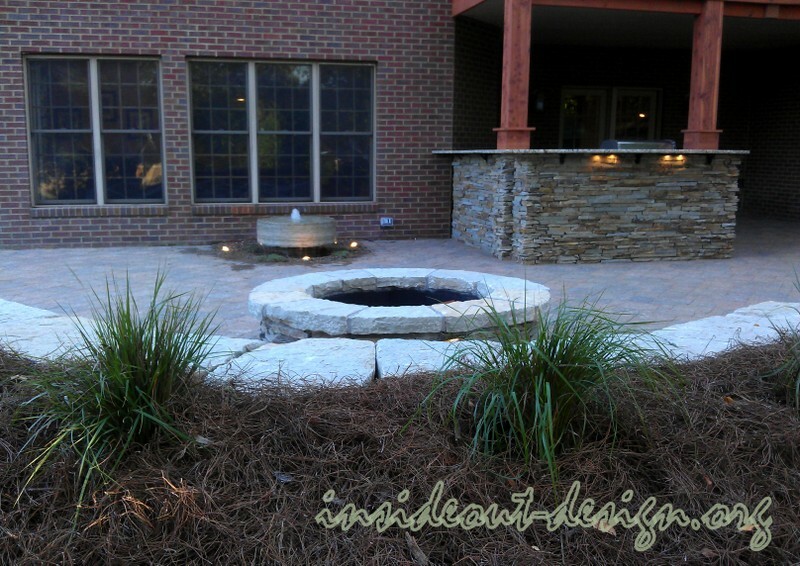 The existing hot tub was the focal point of the old space and was moved to the back of the design, highlighting the fire pit and water feature as focal points. 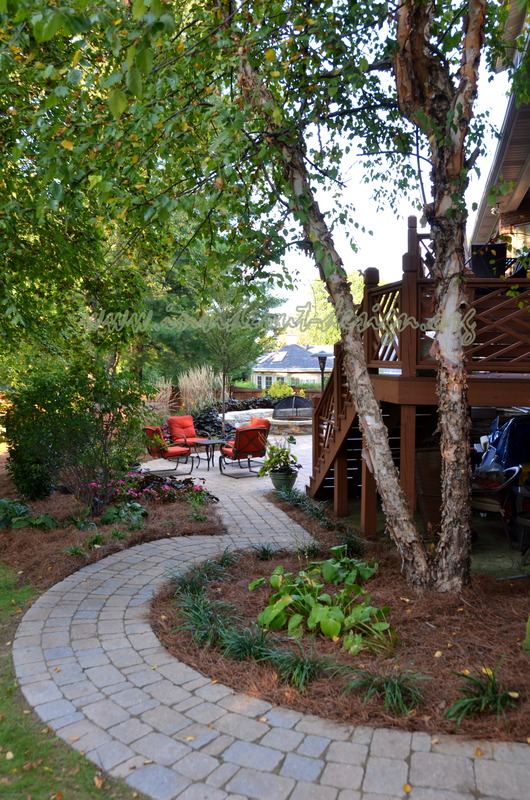 To expand the outdoor living area, a weatherproof decking system was installed, which made below the deck dry during rain events. 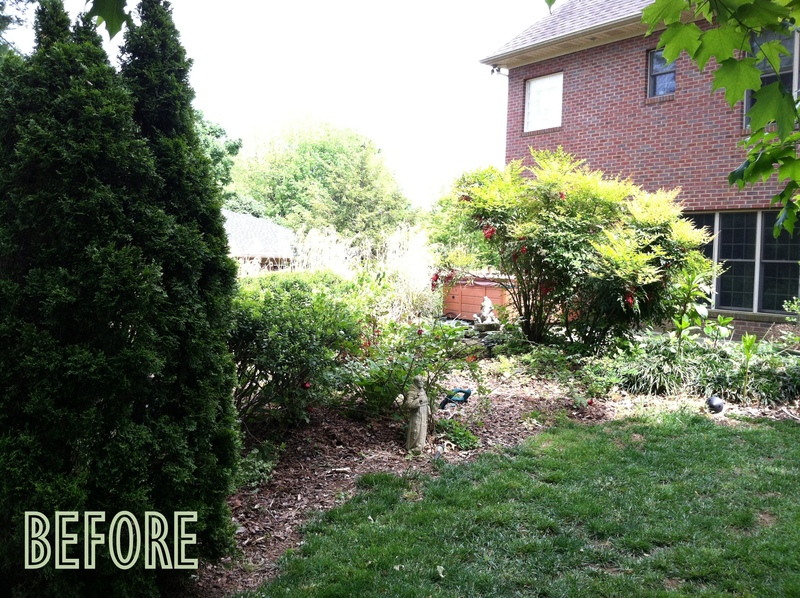 The railings remained and were given new life with a couple coats of stain. 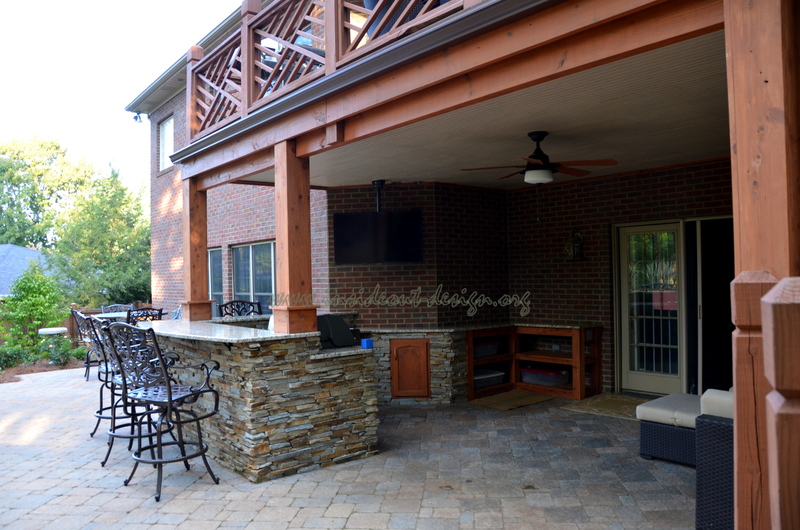 The design included moving one of the columns to better accommodate the flow and circulation of the space. 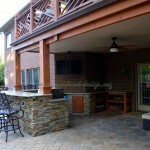 Each column was wrapped with cedar and given added detail. 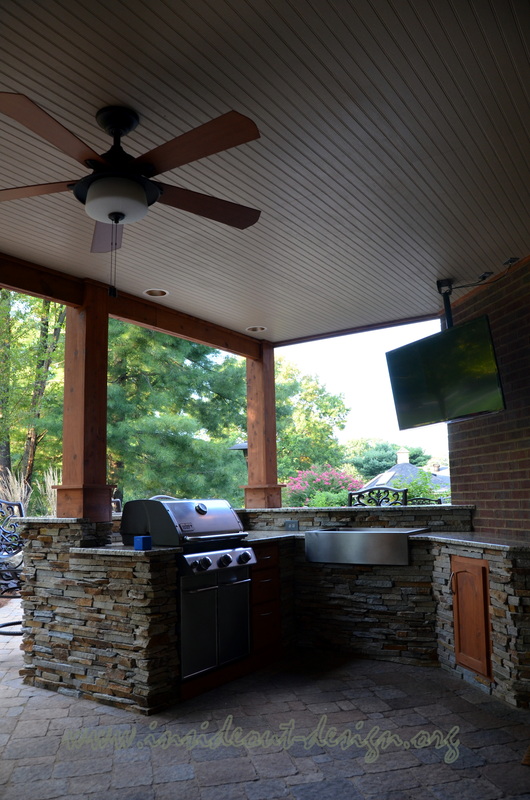 An outdoor fan and can lights were also added, then the ceiling of the space below the deck was covered with bead board and painted. 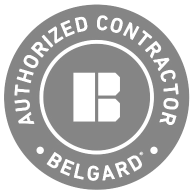 The entire area under and outside of the deck area was covered in Belgard Bergerac pavers, laid on a 45 degree angle with a soldier course border for a finishing detail. 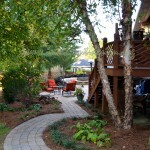 A ramped, running bond path was created from the driveway to the outdoor space for easy access from the driveway. 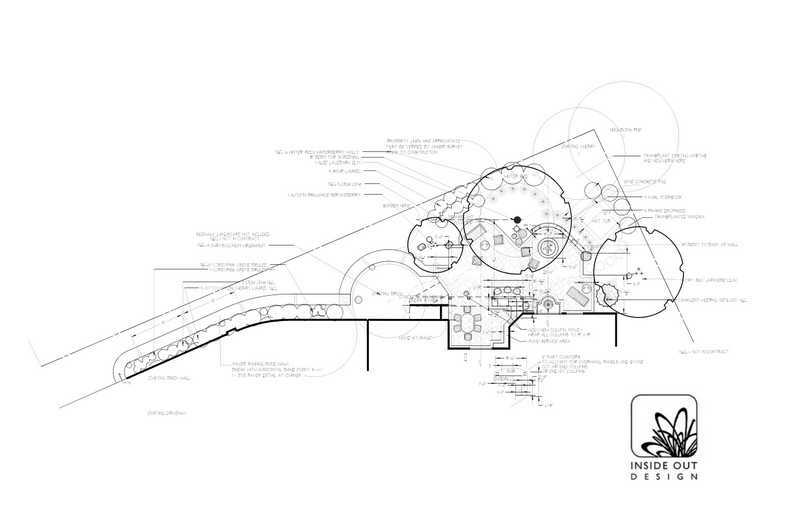 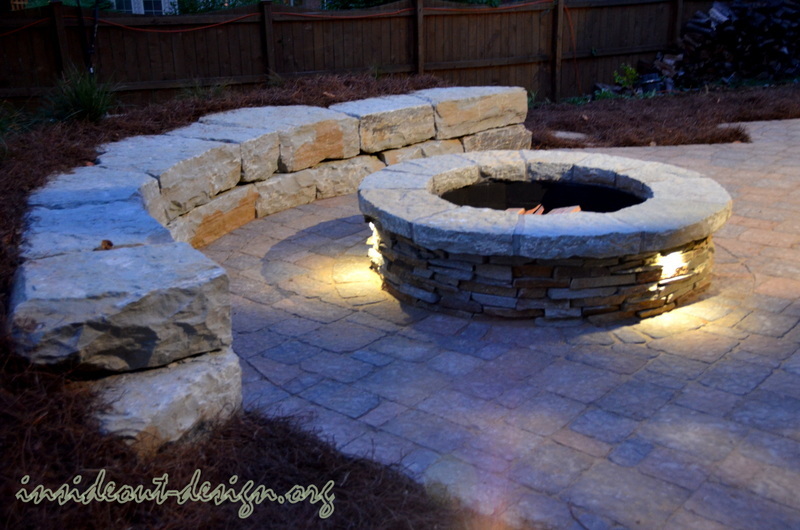 The fire pit, water feature, and curve of the sitting wall are centered on the main lower level window, tying into the architecture of the home inside and out. 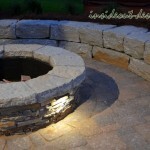 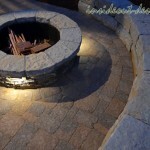 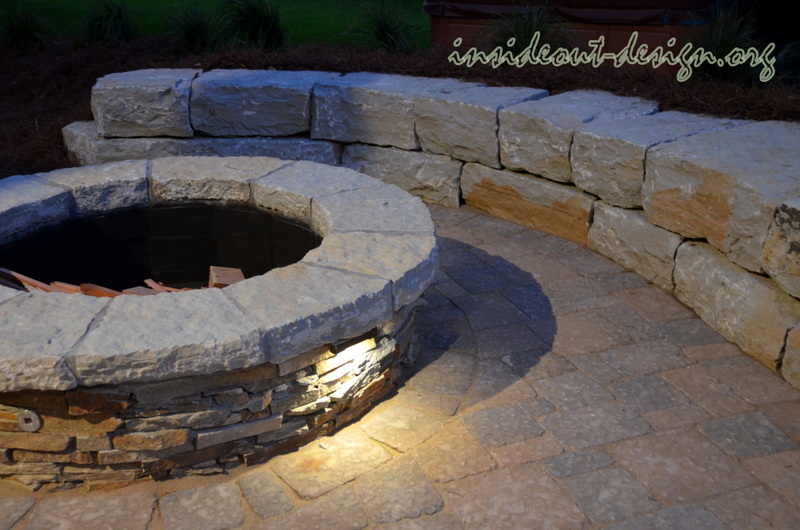 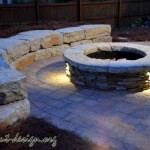 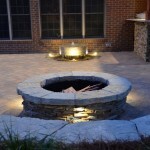 A stone veneer fire pit with solid limestone cap stones is highlighted with LED lighting, creating interesting shadows and light at night. 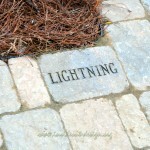 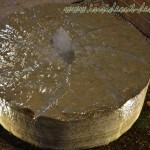 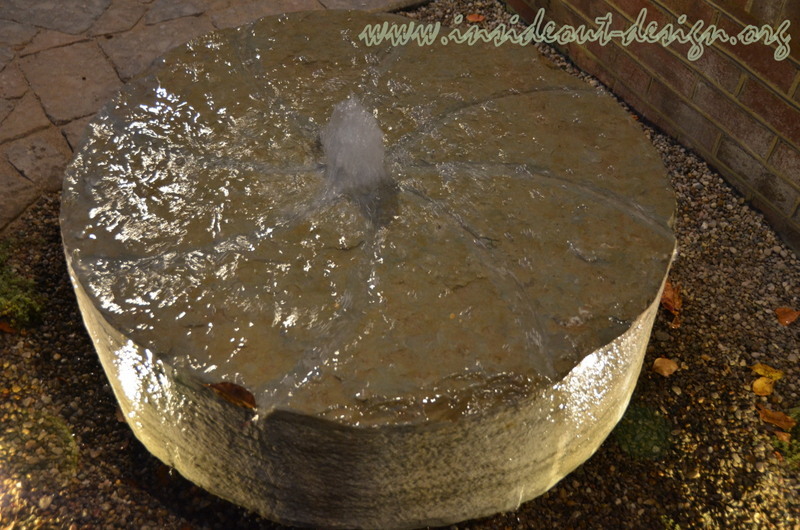 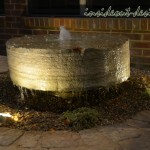 The limestone millstone water feature was custom carved and grinded before coming to life with it’s soothing sounds. 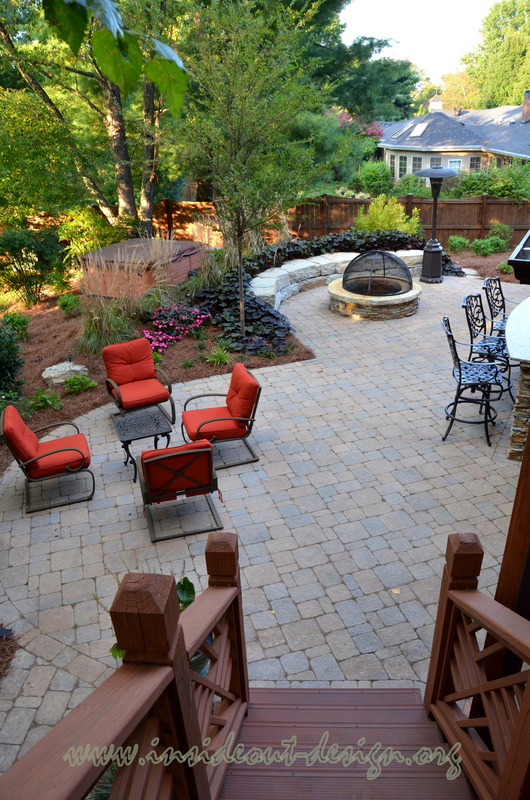 The greatest feature of this backyard is the sitting wall. 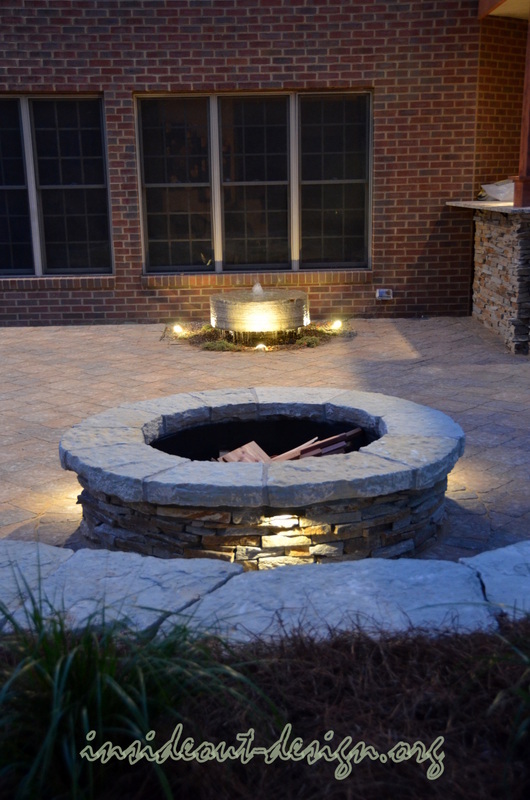 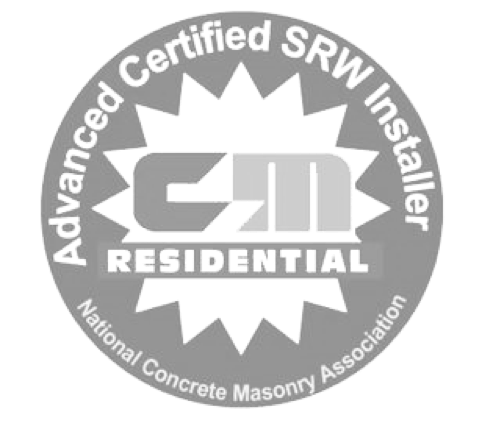 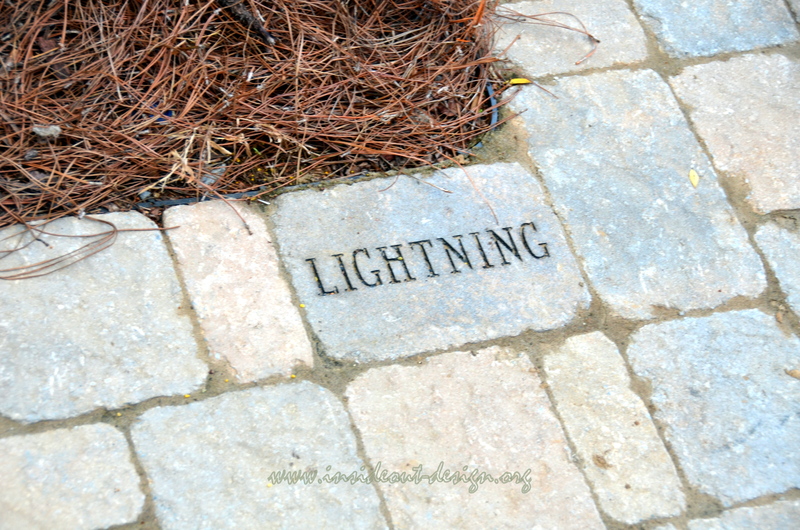 Finding the right material was a challenge, but once we came up with the original idea of using large limestone chunks and custom chiseling them to fit the curve, all fell into place. 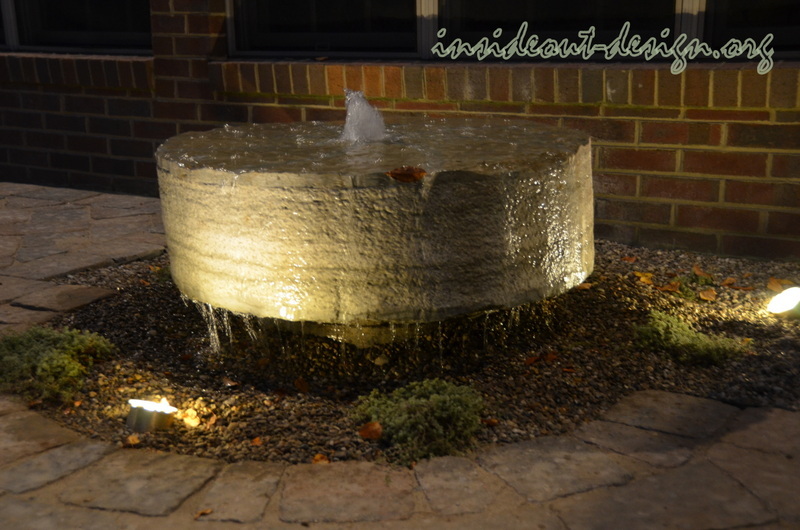 The thick limestone cap on the fire pit and limestone millstone water feature were spawn from the sitting wall material, making the space cohesive and unified. 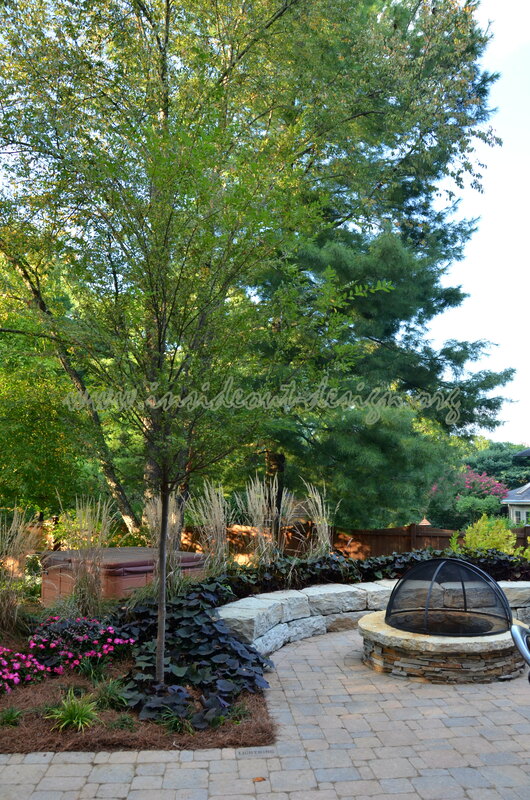 The hot tub was transplanted to the back of the sitting wall, where a berm was created behind the sitting wall and planted with ‘Karl Foerster’ reed grass, to screen it from the patio area. 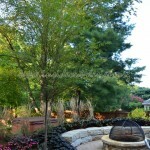 Several large trees were also planted, along with several liriope and perennial transplants from the existing garden. 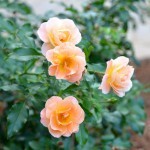 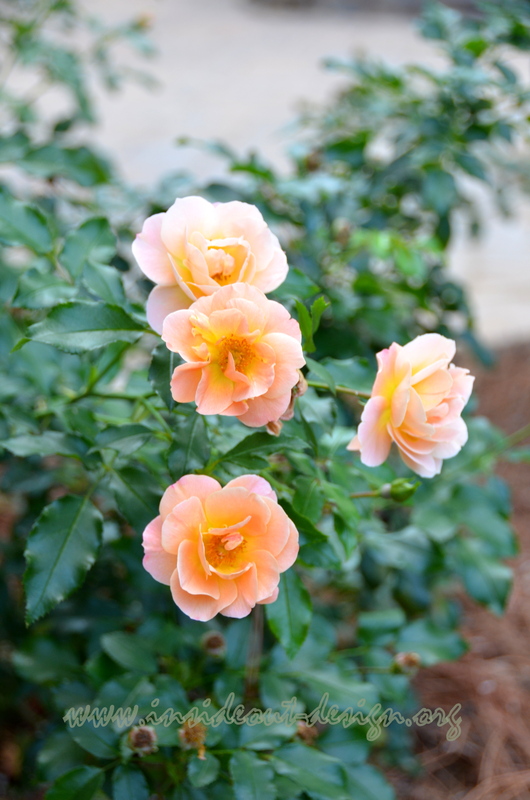 Amber carpet roses were added for color. 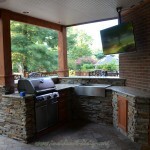 TV and cable lines were also run to the hot tub and in the outdoor kitchen area for the sports fanatics in the family. 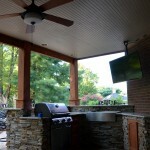 The outdoor kitchen was designed to fit between the existing column and the new column. 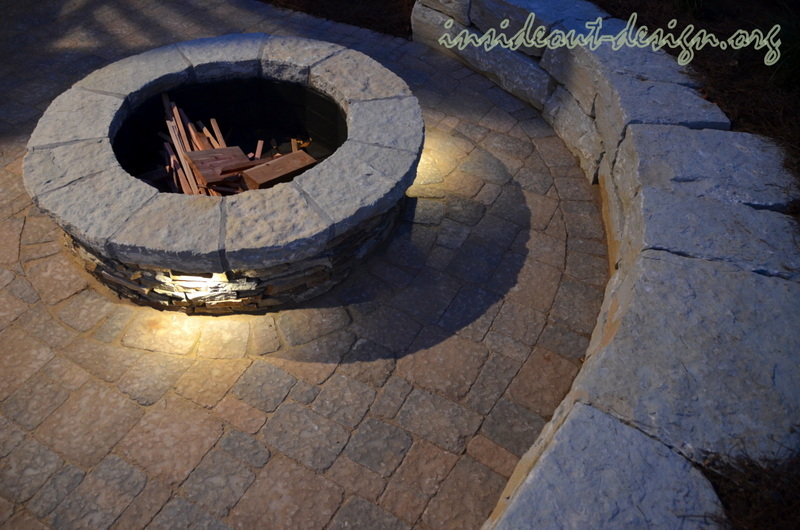 It is wrapped in the same Virgina Ledgestone veneer as the fire pit and covered with a large piece of Venetian Gold granite counter top at the bar level and counter top level. 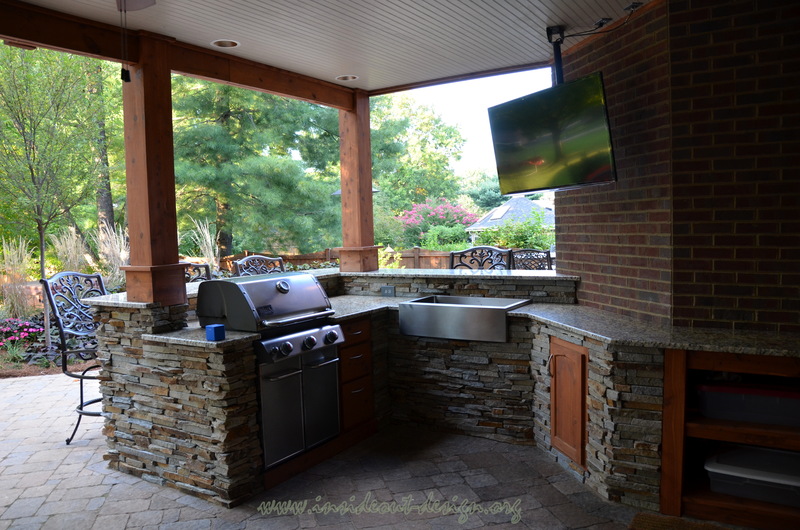 A grill, curved front stainless drink trough, and custom cedar cabinets and shelving make this the center of entertainment for parties.